﻿ Planet of the Apes? Evolutionists argue that humans have descended from ape-like ancestors, thereby reducing humanity to the status of a primate animal. Darwin's seminal theory led inexorably to this conclusion. However, the Bible clearly states that we were created distinct from the animals, and “in the image of God”. This presentation examines the various “ape-men” used to support human evolution; including Neanderthals, Homo erectus, and Australopithecines. 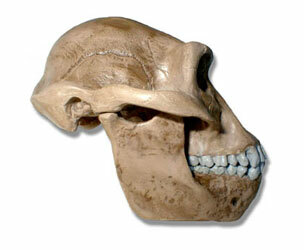 Were there really ape-men or is the infamous missing-link still missing? Chris Ashcraft is a Christian educator employed as high school science teacher at Cedar Park Christian Schools. Chris has also worked in plant biotechnology. He was a research technician at the Cotton Fiber Production Laboratory at Texas Tech University, then at the Plant Transformation Facility at Oklahoma State University, and lastly was the Plant Transformation Specialist for EDEN Bioscience in Bothell Washington .. 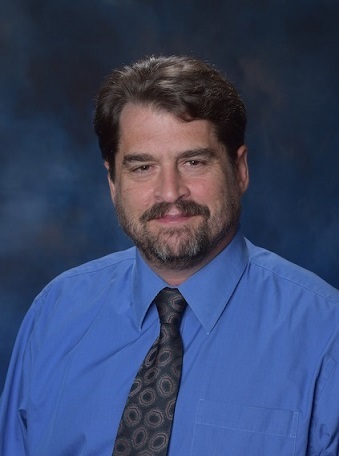 He obtained a Bachelor of Science in biology from Wayland Baptist University in 1989, a Master of Science in biology from Texas Tech University in 1996, a Master of Education from the University of Washington in 2008, and a Master is Teaching Math and Science from Seattle Pacific University in 2012. Chris moved from research science into the teaching profession to serve God in Christian education. His decision was motivated by the impact that secular science is having on people of faith. Today, close to 50% of Christian students lose their belief in God while attending secular schools. This tendency could be lessened if the Church was better equipped to defend the authority of Biblical teachings (1 Peter 3:15). To be prepared for these challenges, it is important that Churches provide regular educational programs on creation and other Bible apologetics. The Apologetics Symposium takes place the 1st Wednesday each month at Cedar Park Church in Bothell WA. The programs feature presentations from educators and scientists who are dedicated to defending the Bible. They are free to attend, and also available for viewing through live webcast or the recordings archived on our website.